I don’t normally eat a very large or special lunch, but every once in awhile, I crave something extra delicious. 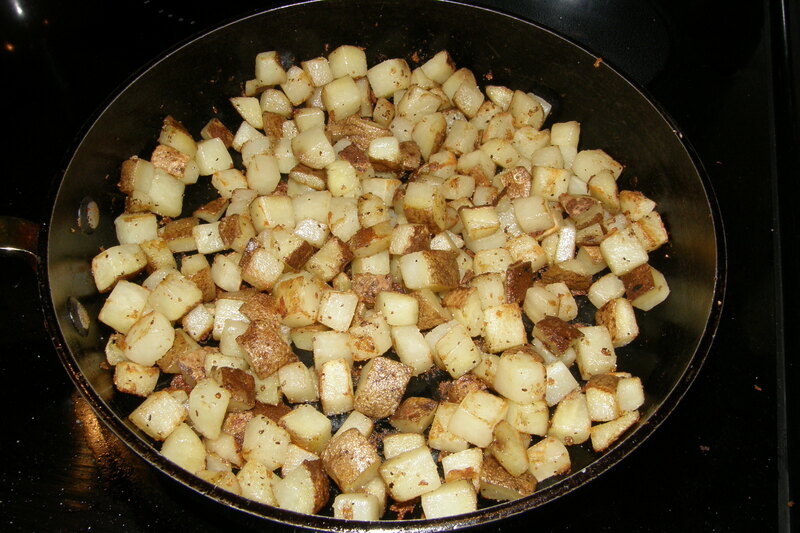 One of my favorite dishes to cook when I have a bit of extra time and am home for lunch is fried potatoes. Although they sound terribly unhealthy, they aren’t really that bad (they are unhealthy, but not terribly so). Also, as a side note, most people probably wouldn’t consider them a meal on their own, but I personally love to eat them as my main dish. This is a very simple recipe. 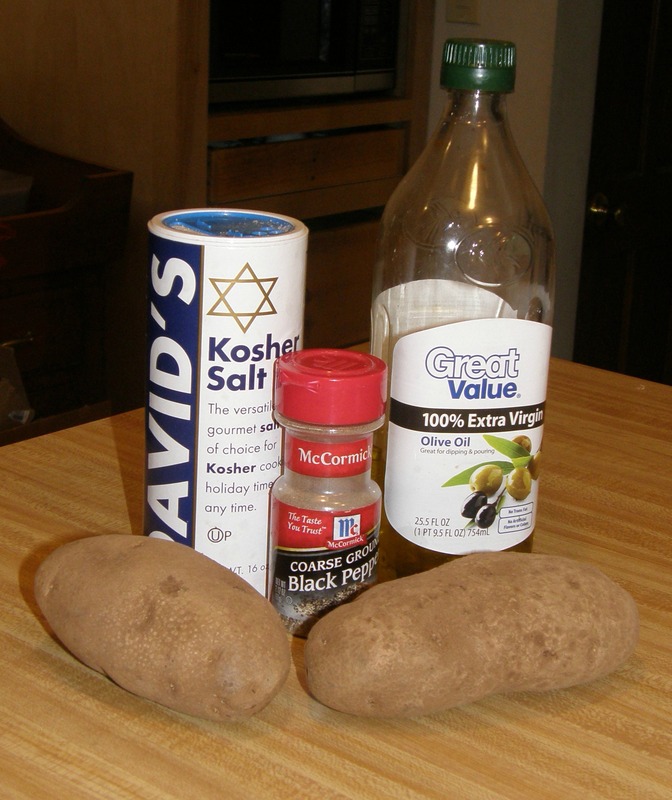 All you need is a couple of potatoes (any type will work), kosher salt, extra virgin olive oil, black pepper, and regular salt. 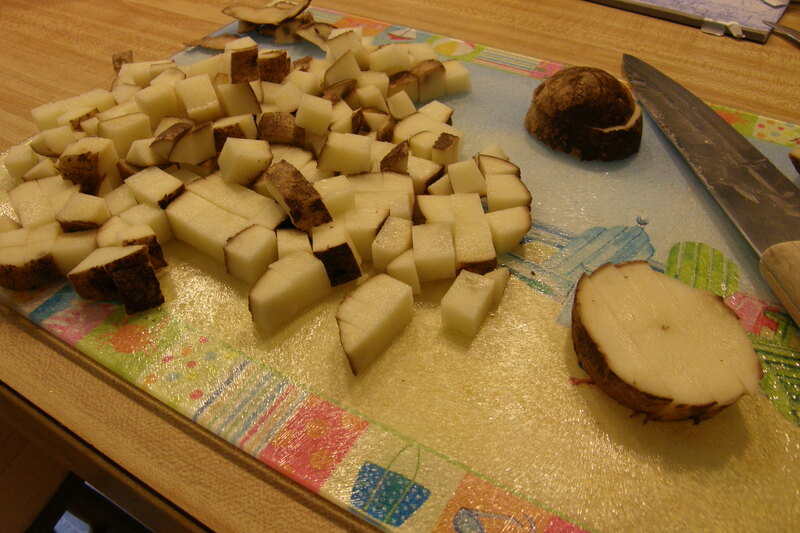 You can either use fresh potatoes or ones that have been cooked (such as leftover baked potatoes). 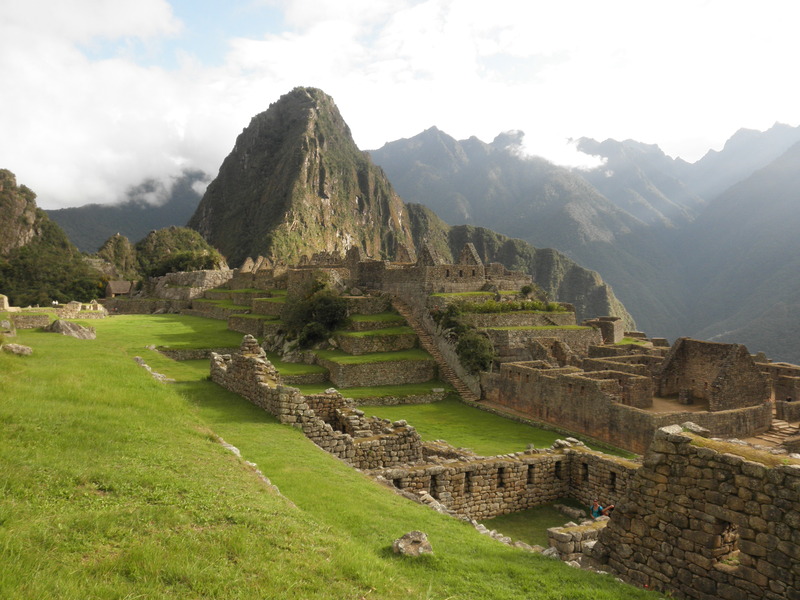 Hopefully, you can see what I mean. 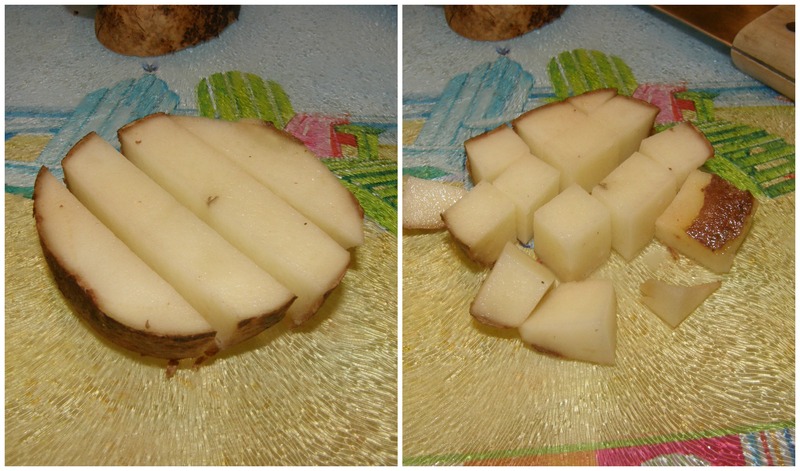 The picture above is actually the next step- cut the rounds into strips, then cut them in the opposite direction to create cubes. Meanwhile, spray a pan with cooking spray and allow the bubbles to diminish. 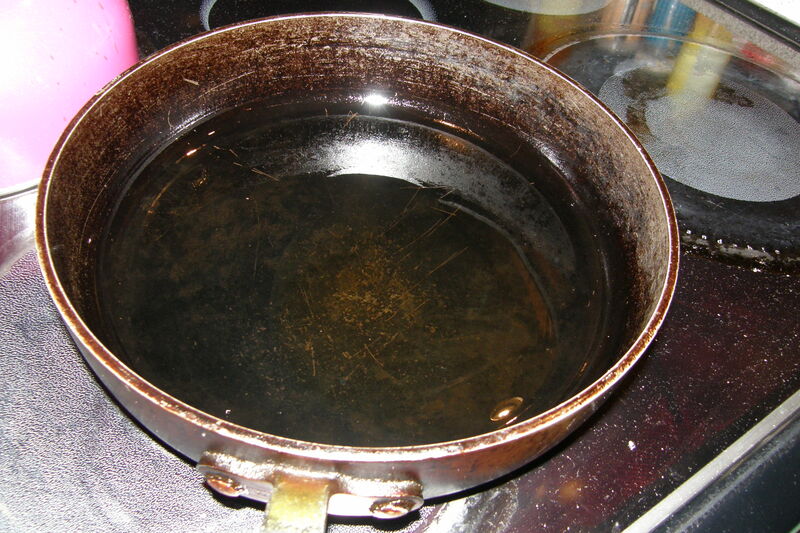 Then, pour olive oil into the pan so that it covers the entire bottom of the pan. 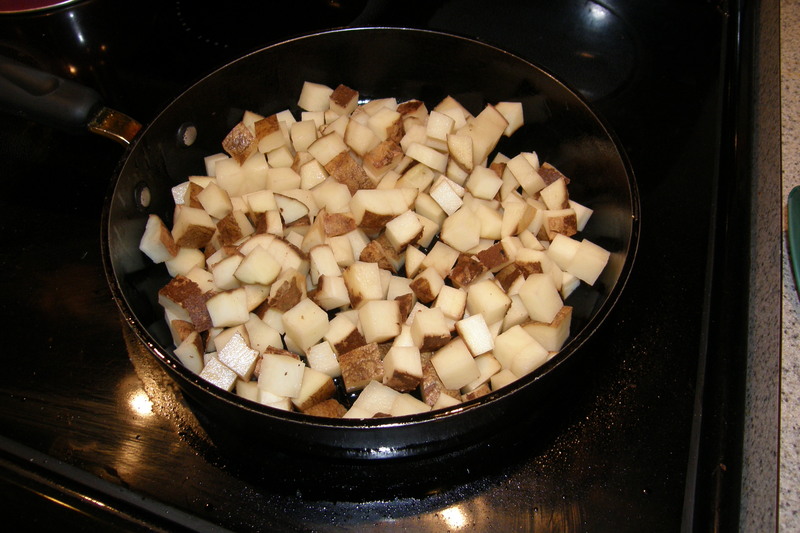 Put your cut up potatoes in the pan, and cook them at medium low heat. 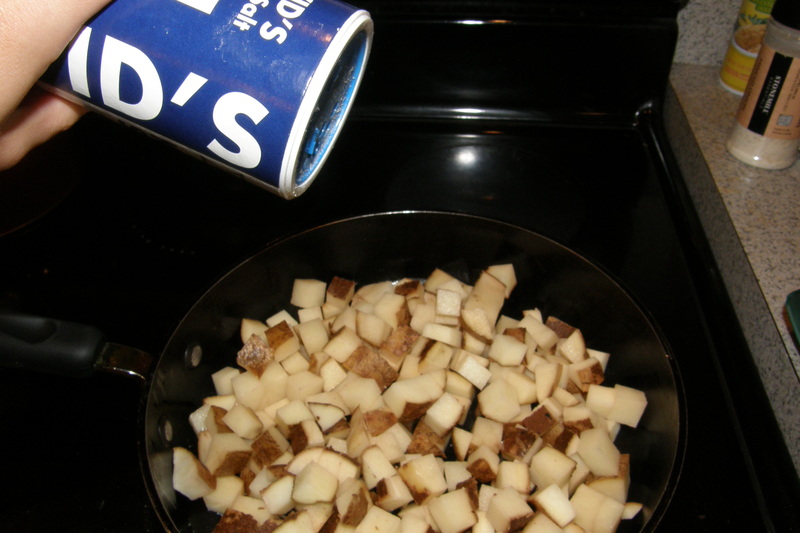 Toss them around with the oil, then sprinkle with a good amount of kosher salt. Mix that around, then add some regular salt and pepper. Take them out of the pan, allow to cool slightly, and serve them. I eat them plain, but you could put ketchup on them. If it seems like there isn’t enough salt, add some regular salt. I hope you love these as much as I do! Enjoy!